The town of Hafnarfjörður is built on and between the rocks formed by lava which flowed originally from Mt. Búrfell, some 7300 years ago. As the lava flowed into the sea it formed strange and picturesque shapes, and the people of the town have placed their homes among these dramatic rock formations. Hafnarfjörður harbour is a fishing port with two quays suitable for accommodating cruise ships. It is well sheltered with a wide, clear entrance where the depth is between 11 and 15 metres. Iceland’s third-largest community resides here, with a total population of just over 27,000, not to mention the elves who are reputed to live in various places in and around the town! In Hellisgerði park there is the northernmost Bonsai collection in the world, containing 130–150 miniature trees, of which 70–80 are on display in summer-time. Within easy reach of the town is the ‘sacred mount’ of Helgafell — a 340 m peak that is easily climbed via the northeast ridge. Krýsuvík is an area of geothermal activity and outstanding natural beauty, and there are spectacular birdcliffs just south of here at Krýsuvíkurberg. Hafnarfjörður is home to a champion’s golf course, the first 9 holes are laid out in a lava field and the second 9 holes on the peninsula “Hvaleyri”, which sticks out into the Atlantic Ocean. The popular horse rental Íshestar is also located in Hafnarfjörður. 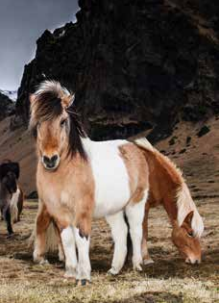 A trip on horseback in Icelandic surroundings is an unforgettable experience. 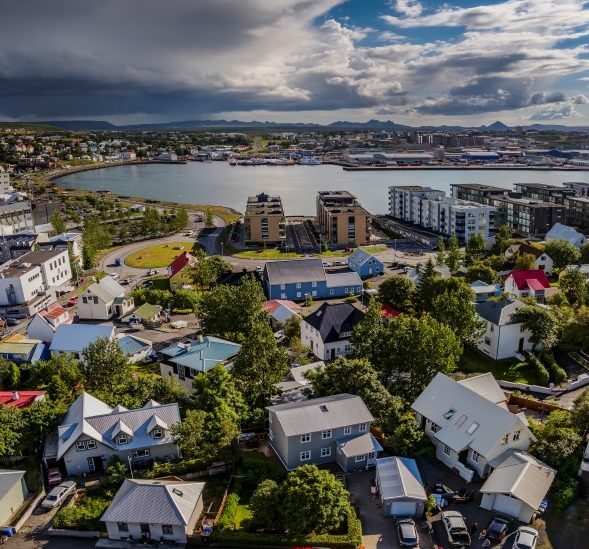 Just 10 minutes’ drive from Reykjavík, the town offers visitors plenty of activities such as whale watching, horse riding and elf spotting, as well as splendid Viking feasts. 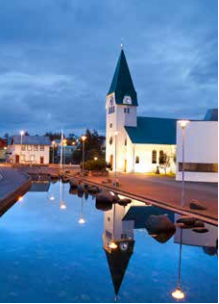 The Hafnarborg Institute of Culture and Fine Arts offers art exhibitions and concerts, while the Hafnarfjörður Historic Museum provides an insight into the town’s history. The work of artists from around the world may be seen at the Sculpture Park at Víðistaðatún. Sports are an important aspect of life in Hafnarfjörður, which is known as the cradle of handball in Iceland. From Hafnarfjördur it is easy to go by bus to many popular attractions such as Gullfoss, Geysir and the Blue Lagoon.